It’s been a long eventful and vacation-ful summer for me, so I didn’t post as frequently as usual and also didn’t publish much in the way of sewing tutorials. 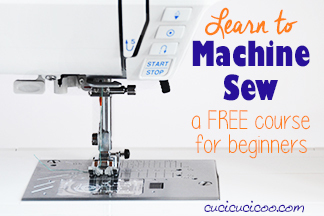 But I’m really excited because I have a whole bunch of new sewing lessons and tutorials for the Learn to Machine Sew series! 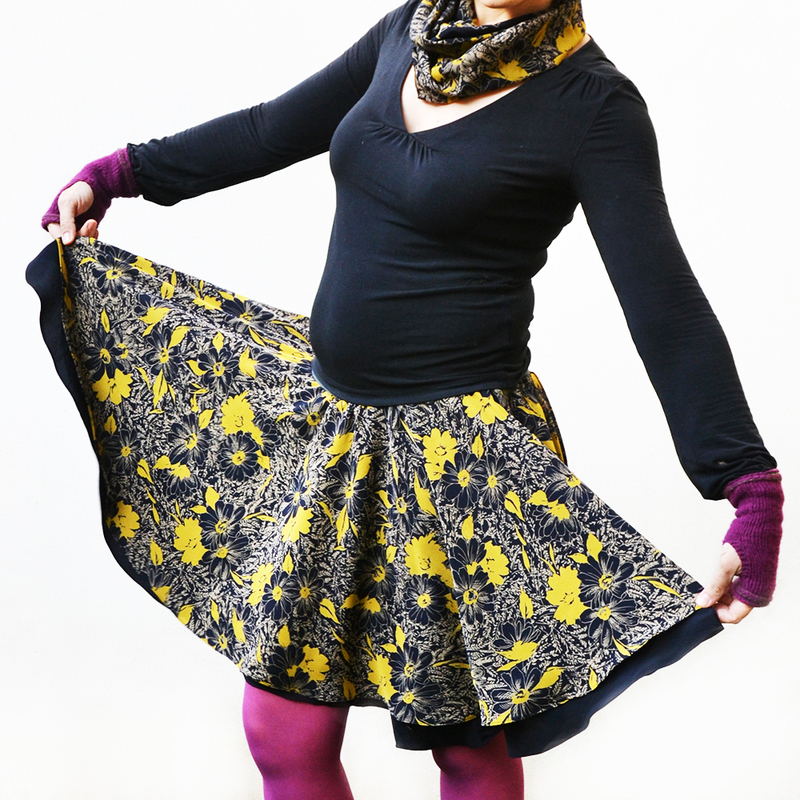 And we’re going to start transitioning into sewing not only objects, but also clothing! Hooray! 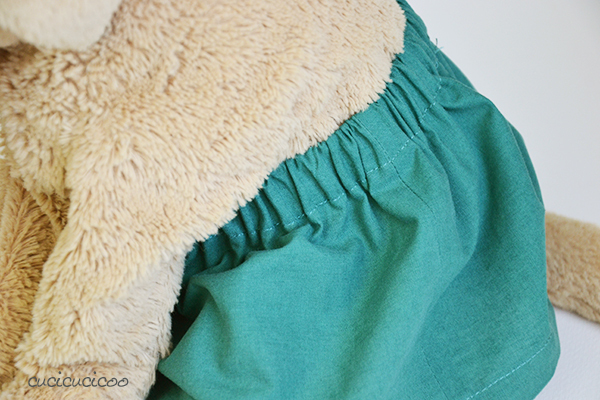 One of the most important skills to know is sewing a casing for an elastic waistband, which is fantastic for making clothing for children and easy-fitting clothing for adults! 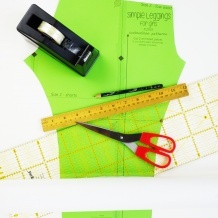 It’s actually pretty similar to hemming, so I know that even you beginners can handle it! So let’s get started! 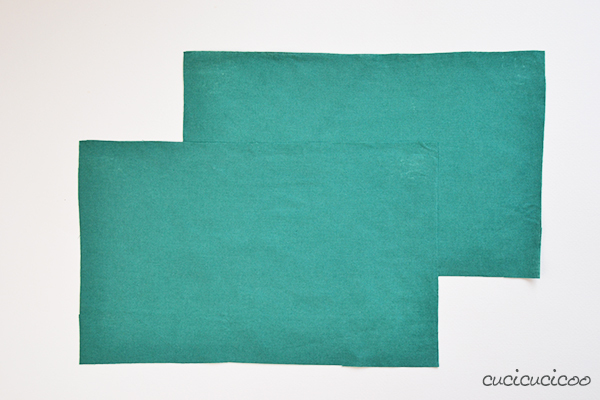 First off, cut two 8 x 13″ (20 x 34 cm) rectangles of woven fabric. 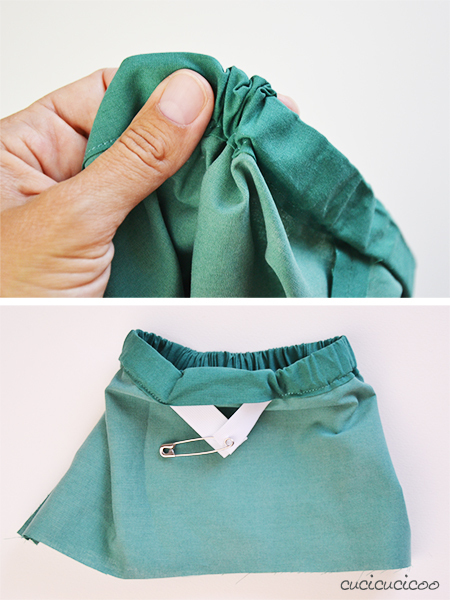 You could really use any size you want, but this is a good size to practice on without wasting fabric and elastic. 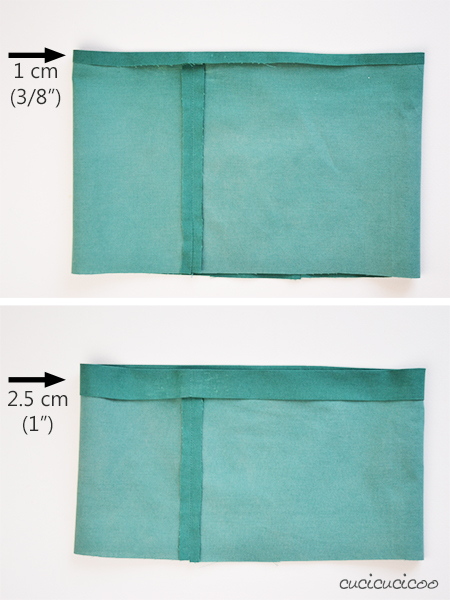 You need to make a tube of fabric, so sew down the two short sides with a 3/8″ (1 cm) seam allowance (top picture). If you plan on washing this item, it’s best to finish off the raw edges with a zig zag stitch, but I didn’t bother. 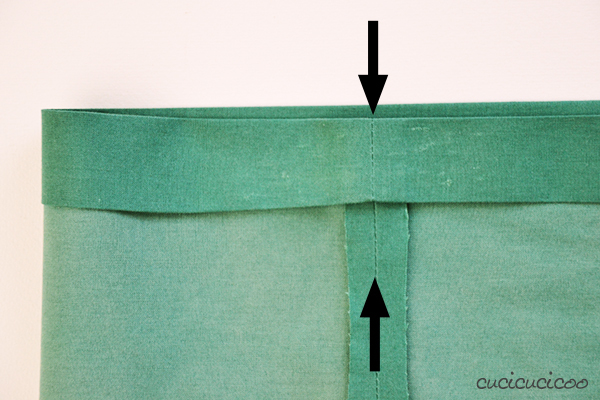 In order to keep your seams and casing tidy, iron open the side seams, with one seam allowance to each side (bottom picture. In order to show the seams, I rearranged the tube of fabric.). 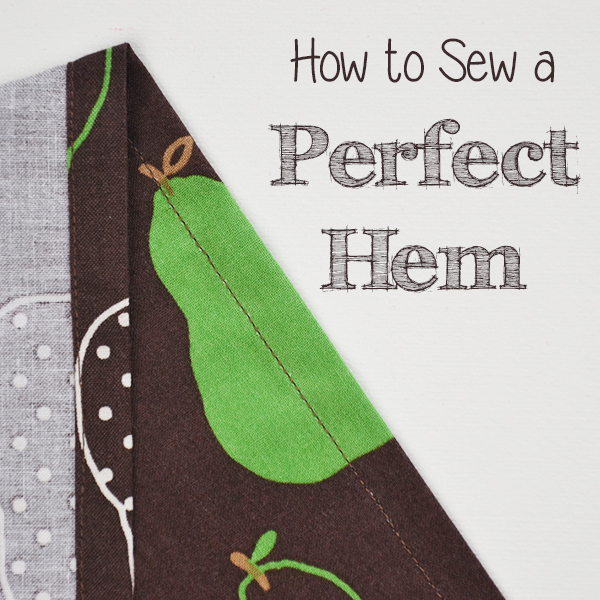 The next part is like hemming. I like to do this with the fabric inside-out, but it’s up to you. First fold and iron down the top edge by 3/8″ (1 cm), towards the inside, then again by a larger amount. 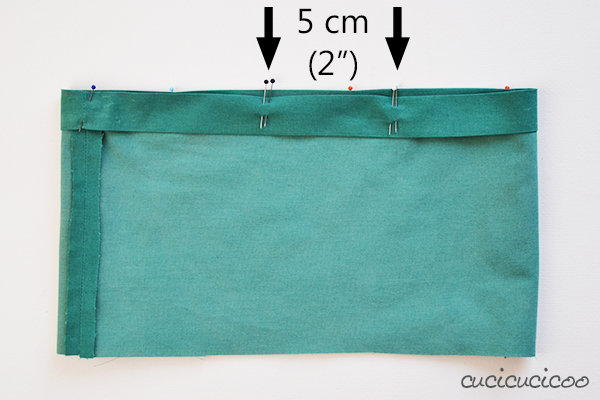 This second amount depends on how wide your elastic is. I am using 3/4″ (2 cm) wide non-roll elastic for this project, though I usually use 1″ (2.5 cm) wide elastic for most garment waistbands. 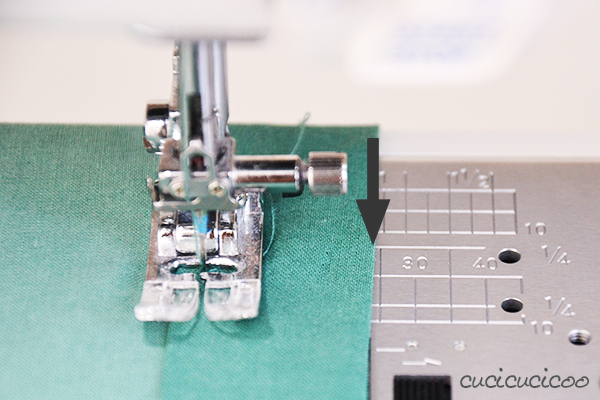 Add 1/4″ (0.5 cm) to the elastic width, which brings me to 1″ (2.5 cm). 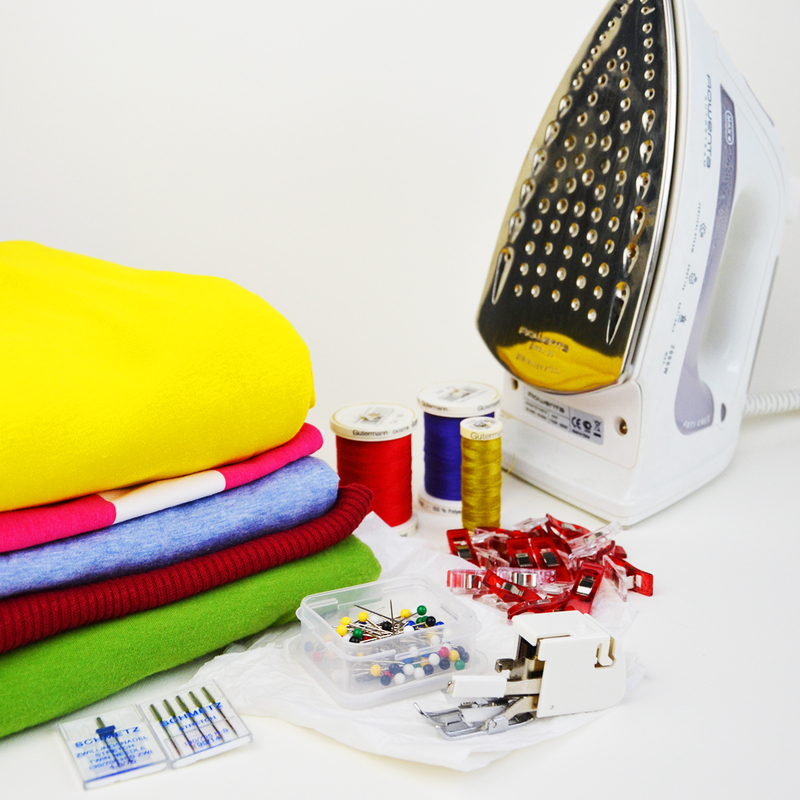 That is how much you need to fold and iron down the second time. Notice how careful I was to align the side seams along the side and in the top folded section. 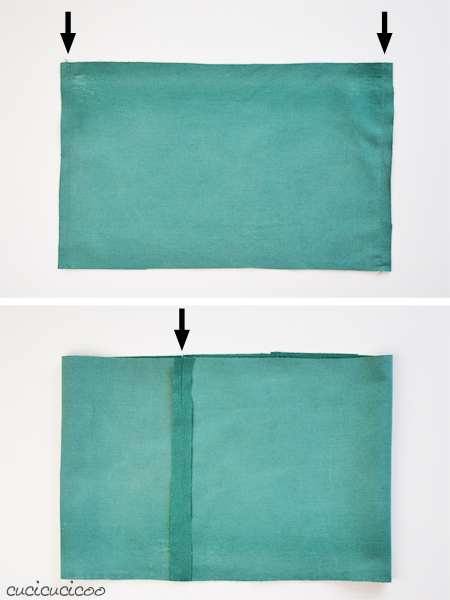 This helps fold evenly and keep your work neat. 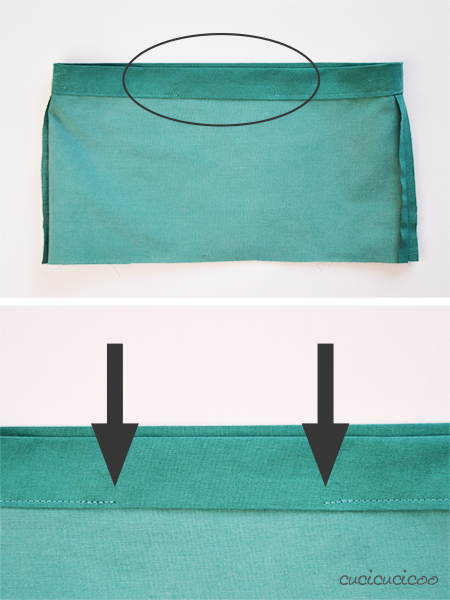 Pin around the folded top, leaving a space about 2″ (5 cm) open. I like marking this space with two sets of double pins, as seen above. 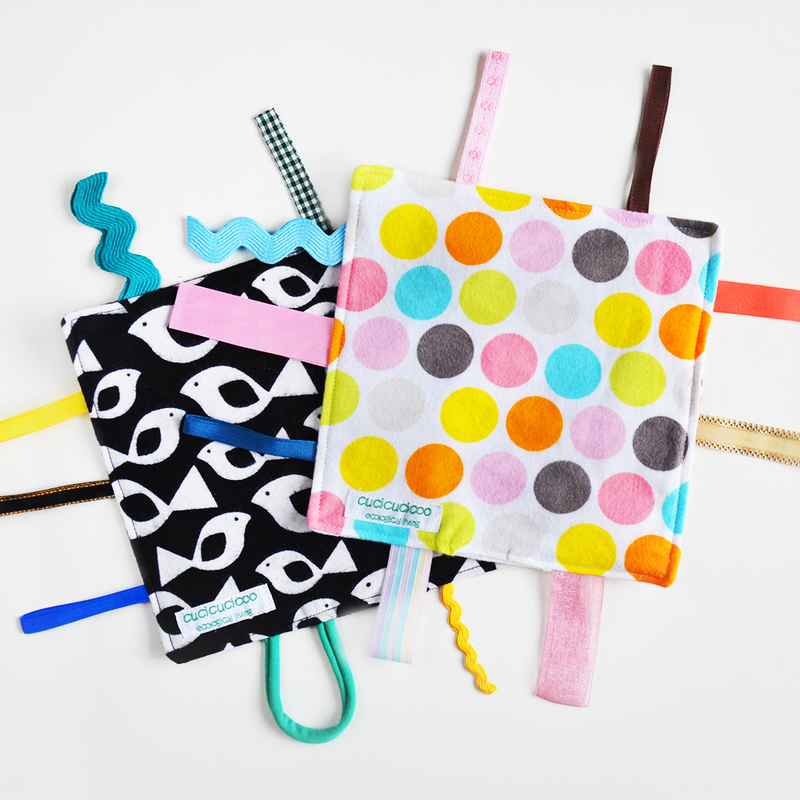 Now let’s sew! 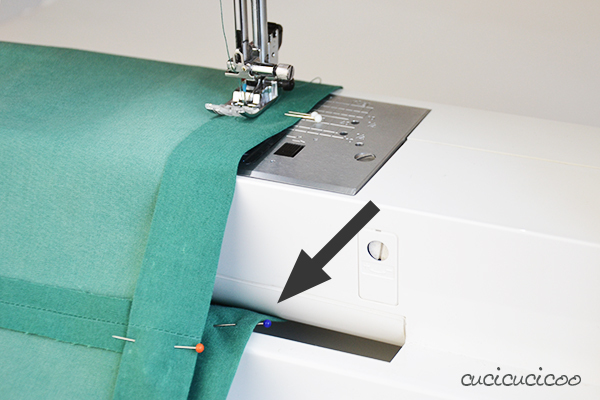 If your sewing machine has a free arm (more about that here), use it so that you can loop your fabric tube around it, as seen above. You need to calculate the seam allowance according to the elastic width. 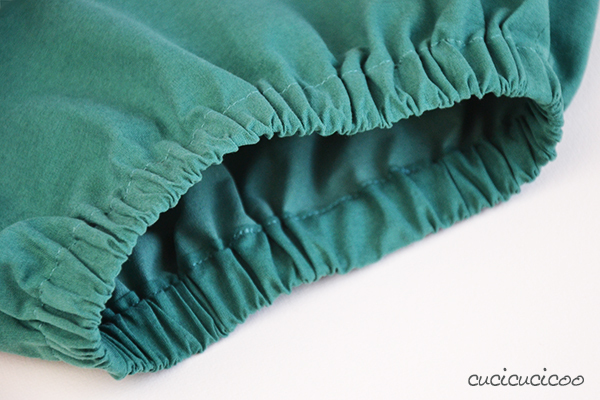 Add 1/8″ (0.25 cm) to the elastic width, which means for me a 7/8″ (2.25 cm) seam allowance. Start sewing from the second set of double pins, going all the way around to the first set of double pins. Remember to backstitch at the beginning and end. Congratulations– you now have sewn a casing with an opening! 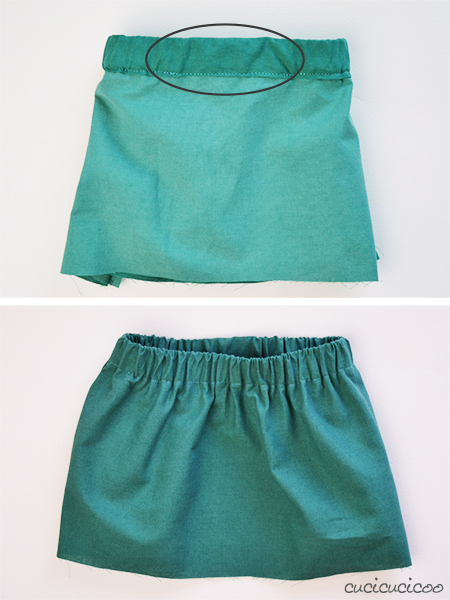 The elastic length depends on what you’re sewing. 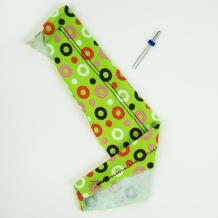 When sewing elastic waistbands, you generally measure around your waist and cut that length of elastic. It will become snug later on when we sew it. 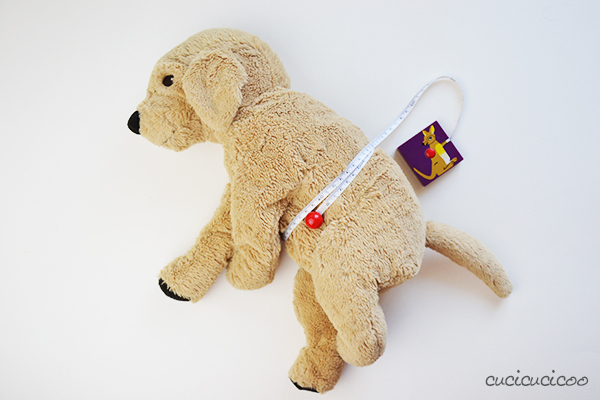 Normally you would measure a human, but I decided to measure a toy, considering the small amount of fabric. 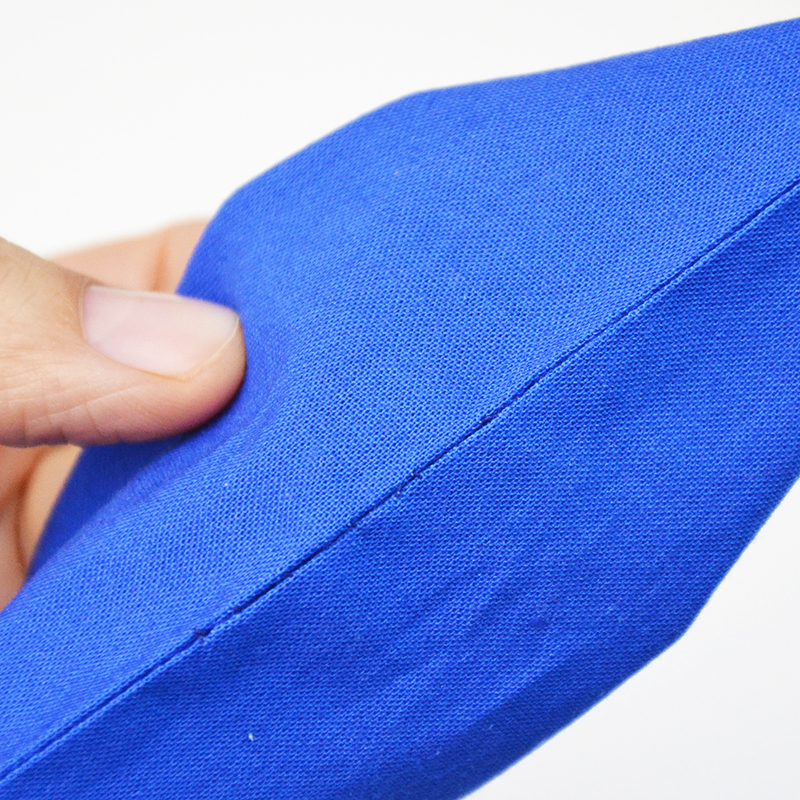 Then pull the fabric gently to rearrange the gathers homogenously around the whole circumference. 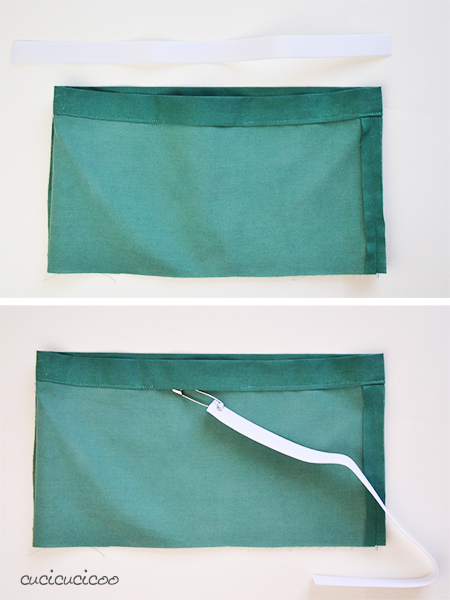 If you’ve been working inside out, turn the fabric right side out again. And look at that amazing gathered elastic waistband! Great work! Do you see that area where the fabric is gathered less? That’s where the overlapped elastic ends are. This is why I like to keep that part in the back of the garment but, in any case, you won’t even notice it when the garment is worn and the waistband gets stretched. 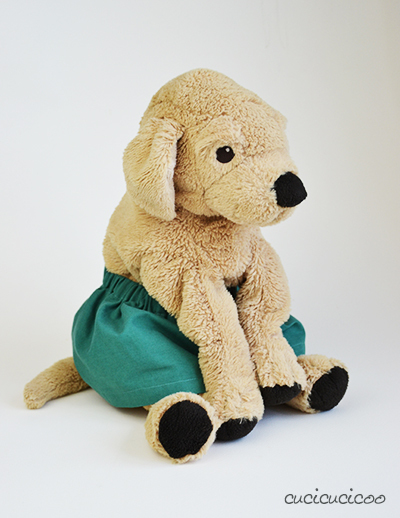 …to make a cute little skirt for my little boy’s dog “Giallo” (Yellow)! See how the elastic has gathered the fabric snugly, but not too tightly, around Giallo’s waist? 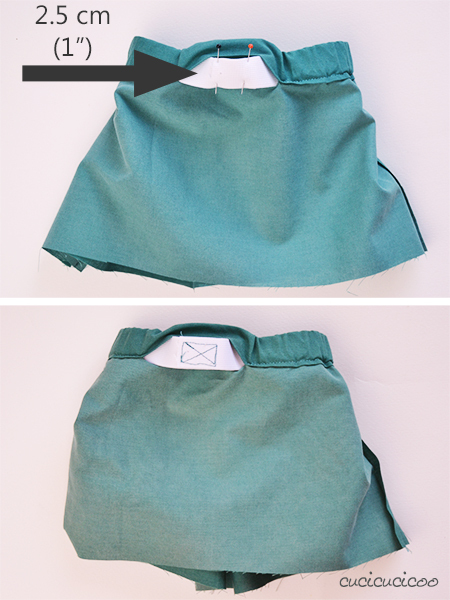 This is the result that we want when sewing an elastic waistband! 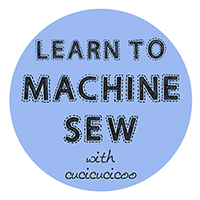 This lesson on how to sew an elastic waistband casing is part of the syllabus of Cucicucicoo’s beginner’s sewing course! Don’t forget to share pictures of your work on the Cucicucicoo Creations Flickr Group or the Cucicucicoo Facebook page! Lisa se non ci fossi bisognerebbe inventarti ! 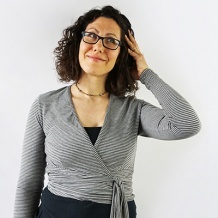 Sei bravissima, e spieghi benissimo ! Io ti seguo virtualmente, nel senso che ancora non ho toccato la macchina da cucire che pure possiedo ! con i bimbi piccoli c’è così poco tempo, e quante cose vorrei fare, certo mi capirai . ti ringrazio del lavoro splendido che fai che è oro per chi come me non può seguire un corso. 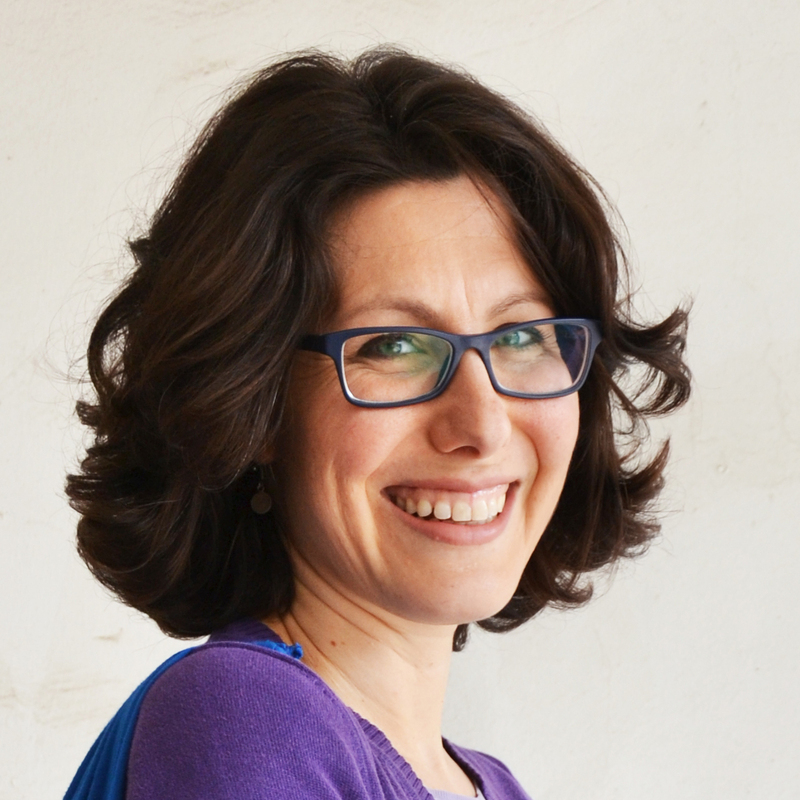 Il tuo commento mi ha messo un sorriso gigante in faccia, Rossella! Mi ha fatto ridere l’idea di dovermi inventare! Haha! Capisco perfettamente la mancanza di tempo per fare tutto quello che vorrei fare. Ho già deciso che, dalla settimana prossima, quando avrò finito con la fiera Kreativ, mi metto una settimana intera a cucire e fare cose esclusivamente per me! Cioè, fare alcuni dei tantissimi modelli di altri che ho acquistato negli ultimi mesi! Come sempre Lisa complimenti e grazie. 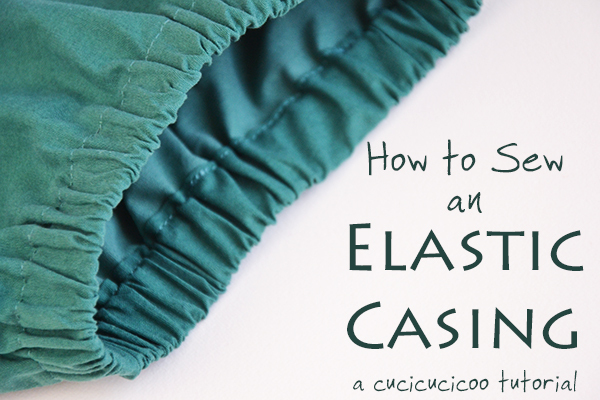 grazie del tutorial…mi chiedevo e per cucire l’elastico quello con le asole, per stringer pantaloni per bambini, come si fa? ci regali un tutorial su quello anche? ciao , mi sembro una bimba al giorno del suo compleanno che riceve regali da tutti spiegati benissimo tu sei brava !!!!!!!!!!!!!!!!! Ahaha! 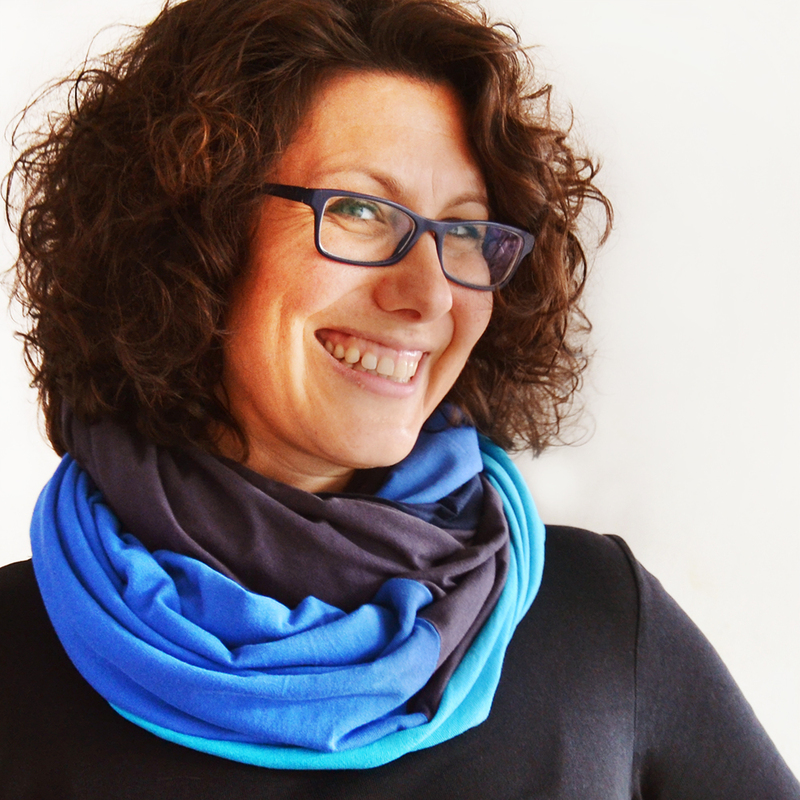 Grazie, Rita, questo è un gran bel complimento!